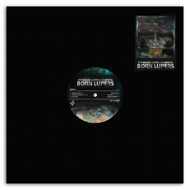 12" Black Vinyl with sticker sleeve (black)! Limited to 300 copies only (150 copies with black sleeve, 150 copies with white sleeve)! Originally released in 2014 via digital only, Dusty Platter are giving this incredible EP a well-deserved Vinyl release! 8 vocal tracks, plus 4 exclusive instrumentals, makes this a sure-shot purchase!